This breathtaking film about the world fastest non-motorised sport tells the story of an attempt to break the current Nordic and European record in large formation skydiving. Never before shown “air-to-air footage” demonstrates how 140 jumpers simultaneously leap out of two Hercules airplanes, 16 000 feet over Lidköping, Sweden. 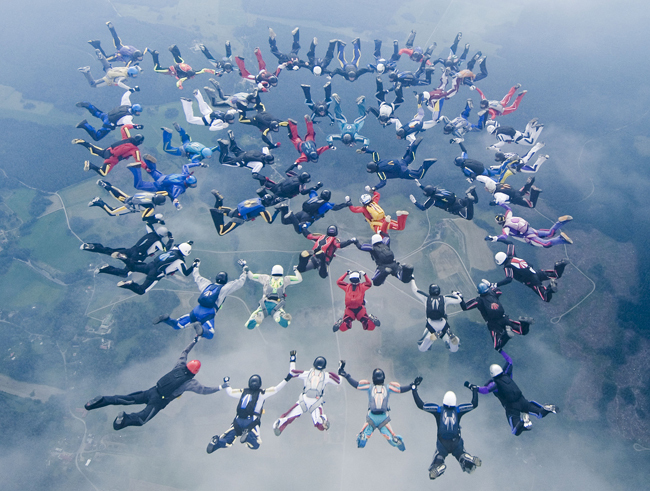 Free falling photographers capture the high drama when 140 skydivers try to connect in a giant formation while falling at 200 kilometres/hour. Only one single grip was missing at the last attempt. The event turned out to be a success even though an official new record was not achieved.